When you’re down in the dumps and need a little pick-me-up, there’s nothing better than getting into your comfiest pajamas, ordering a pizza (or three), kicking your feet up and start watching a good movie. But in a world overrun with films of every sort, how do you decide which one to choose? Do you pick a specific genre? Do you follow a friends’ suggestion? Do you rock/paper/scissors it? Personally, we would advise against watching a horror movie – at least when you’re alone. Your friends’ advice might mean you’ll find yourself sitting through another one of their favorites, instead of your own. Finally, we’d tell you not to rock/paper/scissors it, unless you want to end up rewatching Moana for the 50th time, or any other random twist of fate. Instead, we humbly suggest you watch one of the best movies ever made. We are, of course, talking about Titanic. Released in 1997, Titanic is widely regarded as one of the most iconic movies in cinematic history. This awesome romance-disaster was the creation of the one and only James Cameron and follows the lives of Kate Winslet (Rose DeWitt Bukater) and Leonardo DiCaprio (Jack Dawson). Although the characters in the movie are all fictitious, the events of the disastrous maiden voyage of the RMS Titanic is real, and pretty intense. The film itself is heartwarming and heartbreaking all at the same time, and will really make you think about the life you lead and the choices you make, as Jack and Rose swirl around one another in their fight for love and survival. Titanic’s plot gives the fictionalized story of passengers aboard the English RMS Titanic. In 1912, the (real) ship set sail on its maiden voyage from Southampton to New York. However, the ship crashed into an iceberg on its way there and tragically sank – killing over 1,500 people. Many of those who died were the third-class passengers on the lower decks, who did not make it into the too few lifeboats available. 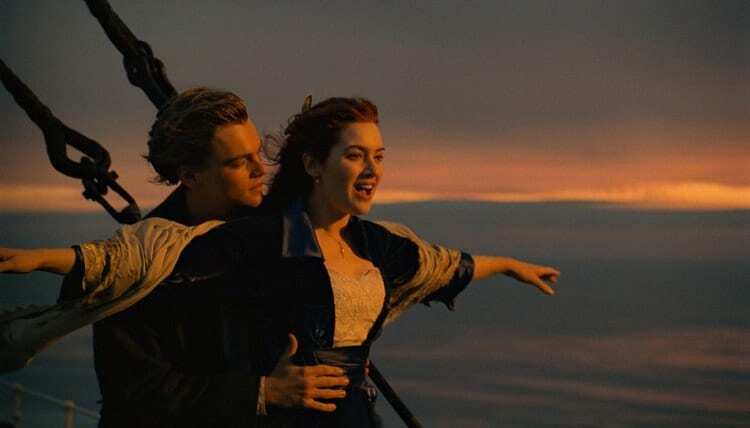 The movie focuses the life of one of those third class passenger, Jack Dawson, and a first-class passenger, Rose DeWitt Bukater. Nevertheless, recreating this epic story in cinematic form was not easy. Cameron spent a whopping two years developing and planning the movie before it was released. 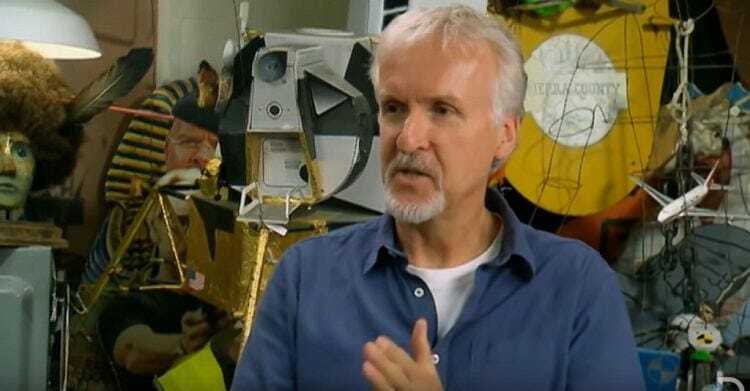 As a perfectionist, James Cameron wanted every little detail to be exact, and he wanted everything on the ship to be almost identical to the real thing all those years ago. According to Kate Winslet, James could often be quite scary when he was in “the zone” as he wanted to make sure everything ran smoothly. James’ reported temper was said to have caused a great deal of friction on set, with many crew members resenting him for it. His perfectionism also cost the studio a lot of money, with the film was being finished after many delays and a month after schedule, ending up costing $200 million. But such are geniuses – sometimes they’re misunderstood, sometimes they’re reviled, but every once in a while a visionary like Cameron comes along, and the results are cinematic magic. Despite the costly production, Titanic proved more than worth it. After its release in 1997, the movie rose up the box-office ranks and wowed critics and fans across the world. Many congratulated James Cameron on creating such a “spellbinding” movie that had been so expertly created. Fans couldn’t believe that Cameron had made such a tragic event so heartwarming, and took numerous trips to the movie theaters to watch Leonardo DiCaprio and Kate Winslet dominate the big screen. For years after its release, Titanic continued to be one of the most impressive cinematic displays in history. In fact, it held the title as the highest-grossing movie of all time for decades, before it was overtaken by another film directed by Cameron – the CGI sci-fi film Avatar. 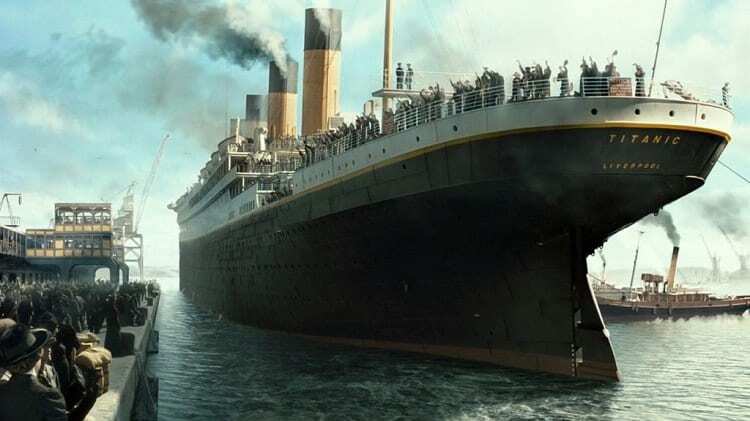 Titanic’s dethroning and move to the number two placing still makes it one of the best-loved movies in history – but there is one thing many fans aren’t too keen on, and that is the events leading up to Jack’s death. 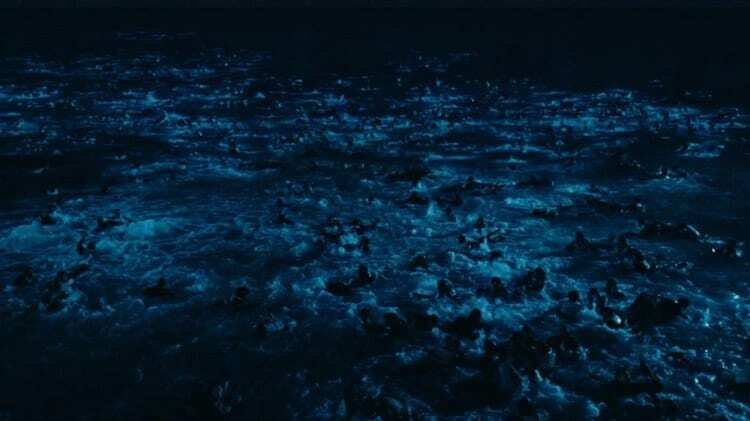 As the ending of Titanic draws ever closer, the ship begins to sink, and Jack and Rose find themselves in the middle of the Atlantic Ocean, freezing in the ice-cold water. 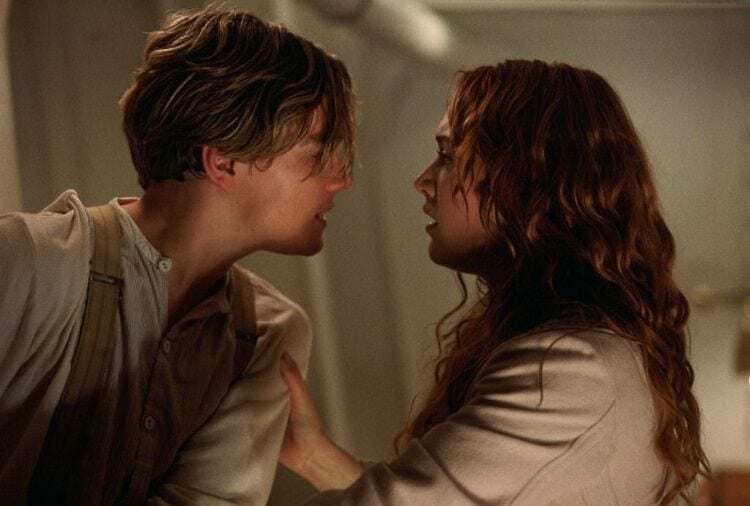 All around them, people are succumbing to the low temperatures and deep waters, but Jack and Rose manage to find a floating door that could be their savior. 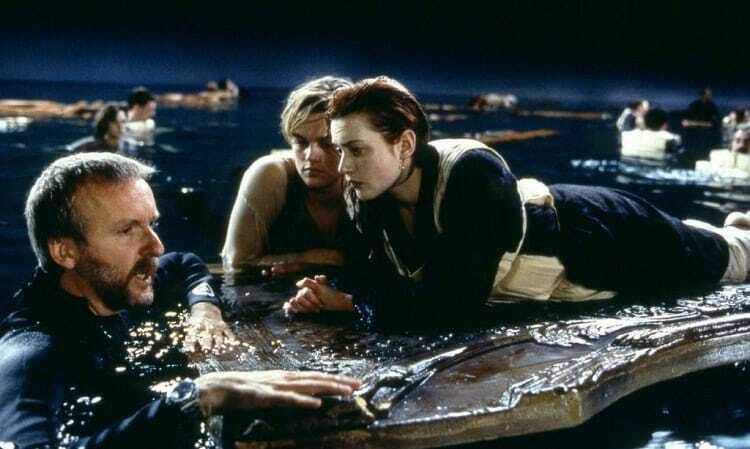 As Rose climbs onto the door to save herself, Jack stays in the water and ultimately succumbs to hypothermia. However, many people have questioned whether he really needed to die – as it seems there was enough room on the door for both of them. 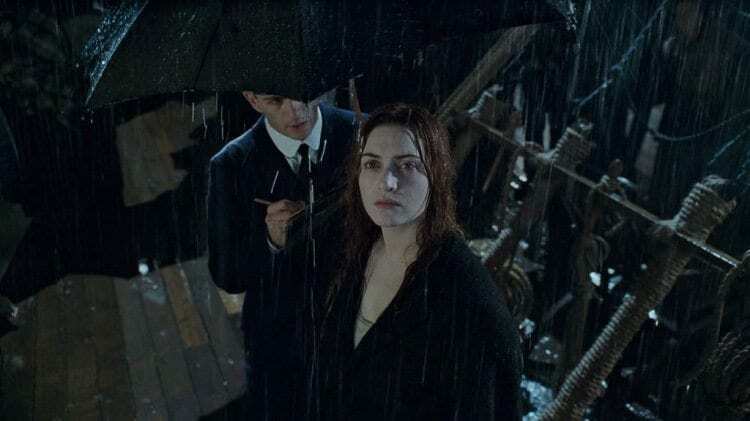 Since its release, fans of Titanic have speculated over Jack’s death – and whether he really needed to die. As they became even more impatient, urban show Mythbusters decided to get involved and tested whether there really was enough space for Jack on the door and whether he could have survived the ordeal. Their results? His death was unnecessary. 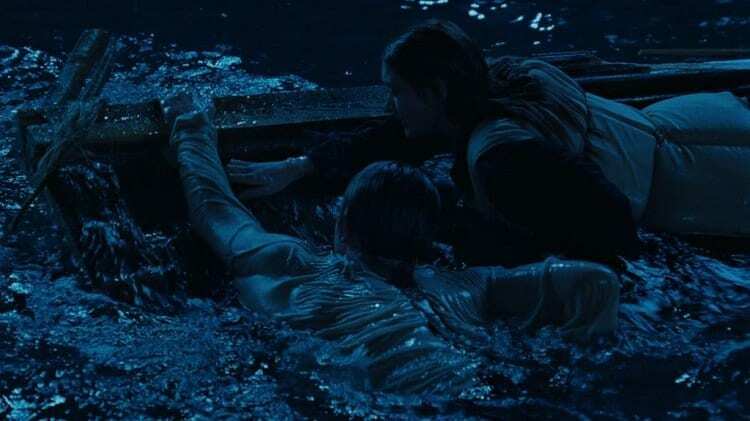 If Jack had tied Rose’s life jacket to the bottom of the door, they both could have floated on top of the freezing water and waited to be rescued. As Mythbusters revealed their discovery, they decided to get James Cameron on the show to share his thoughts on the matter. Although he laughed off their suggestion, he was incredibly stern about his views. In his opinion, fans of the movie were missing the point of Jack’s death. In the script, Jack was always supposed to die. Whether it was because of the size of the door, or whether he sacrificed himself doesn’t matter. He was never going to survive. Ouch. 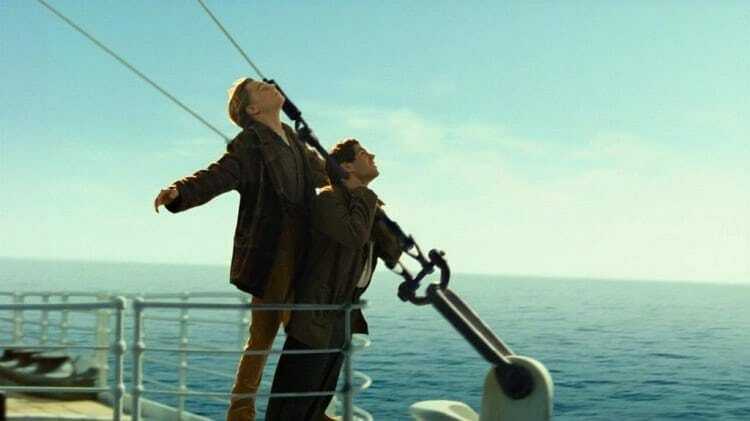 Cameron’s answer, However, did not satisfy Titanic fans, and they’ve continued to plague the filmmaker with questions, images, and scientific research – proving there was no need for Jack to die. So, in November 2017, Vanity Fair Magazine asked Cameron the question once more. This time, he wasn’t so light-hearted about it and seemed to get incredibly annoyed with the reporter. He noted that he didn’t understand why everyone was still obsessed with the issue twenty years after it happened and that in reality, people need to get over it. Despite his annoyance, Cameron does gain something from the incessant questioning. With all of the dedicated fans questioning him over and over again, he’s been able to recognize the impact Jack’s character has had on the world. It is an achievement for any filmmaker to make such an endearing character, and James Cameron now knows that he has done that with Jack. In fact, many people regard Leonardo DiCaprio’s role as Jack Dawson to be his acting breakthrough. Since then, he has gone on to achieve ultimate stardom. Overall, James Cameron has been pretty adamant on his views on the matter. As he continued his interview with Vanity Fair, he made it very clear that Jack’s death happened for artistic reasons. Whether he was going to die from hypothermia or a smoke stack falling on him, Cameron always knew that Jack was not going to survive. He has noted that these kinds of things happen because of art, rather than physics. However, the interviewer was quick to point out that Cameron was the kind of director who focused on physics and science to make things work. James Cameron couldn’t deny this. 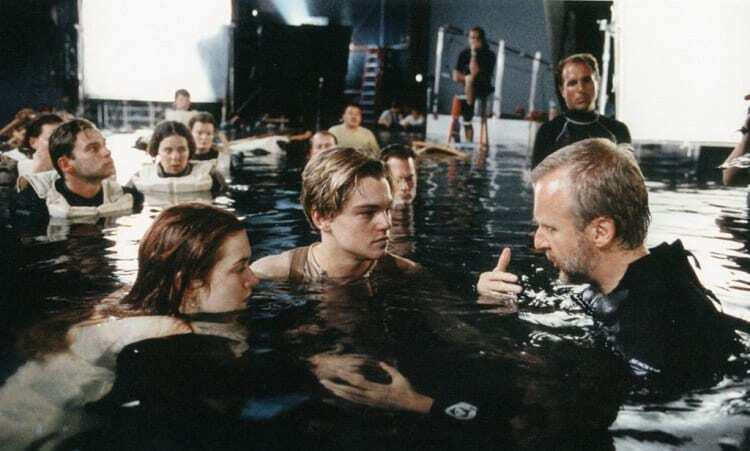 He soon went on to describe the work and effort put into the movie – especially the sinking scene. 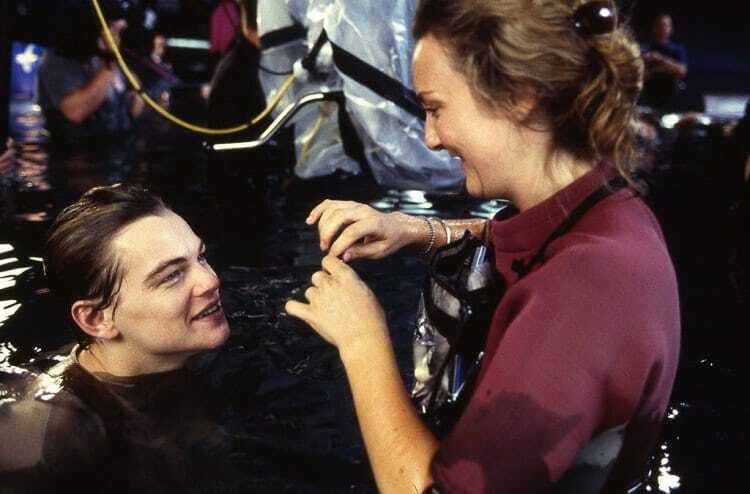 In fact, he maintains that he spent a whopping two days stuck in a pool of water, trying to make the perfect-sized piece of wood that would allow Kate Winslet to float happily on top of the freezing waters, rather than being submerged in the water for hours on end while the cameras were rolling. 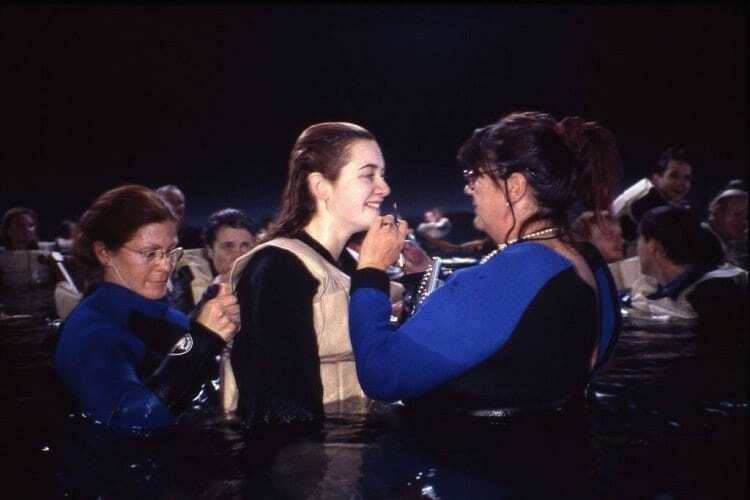 He wanted the wood to be able to keep her out of the water for three hours, to ensure it would have worked just as well in real life, while the survivors were waiting for the rescue ships. 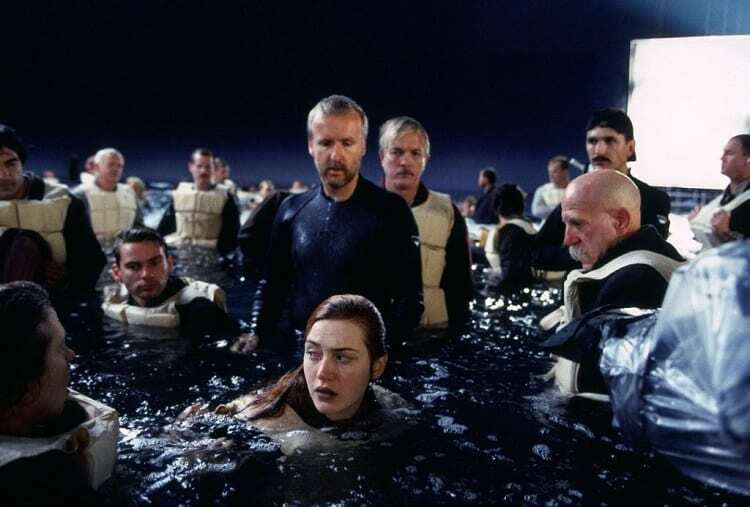 Keeping his movies true to life is one of the most important aspects of James Cameron’s filmmaking. 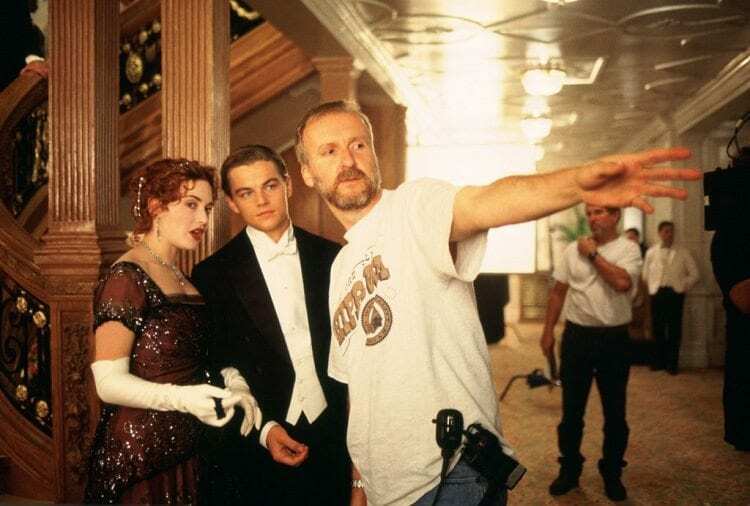 He wanted to make sure that Jack’s ending was believable, so looked towards the history of the RMS Titanic for inspiration. When the real ship was sinking, hundreds of passengers were thrust into the water in the early hours of the morning, for hours on end. In fact, the ship sunk at around 2 am, and the rescue ships reached them two hours later. However, this was too late for many of the victims. Because of the freezing cold waters of the Atlantic Ocean, many of the victims in the water either died from hypothermia or heart attacks. Of course, there were many people who reached the lifeboats in time and were floating away to safety at this point, but many of them recollect the horror and the magnitude of the disaster. Although they wished they could help those in need, there were simply no lifeboats free to save them, or no way to stop the sinking ship. It’s believed that more than 1,500 people died during this infamous disaster, but there were people, like Rose, who used the debris from the ship to help them survive. They used large floating objects, such as doors, closets, and more to keep them afloat – but very few survived. Rescue boats trawled the waters for hours after the ship sunk, and rescued all of those who had survived in the freezing conditions. However, there were only ten survivors and two of those passed away en route. Many people believe the reason why Jack’s death has affected us so much is because it serves as a constant reminder of all of the people who lost their lives in this tragic disaster. Jack’s character is a way for us to emotionally connect to the maritime disaster and think of all of the people who lost their lives. Although we wish it never happened, James Cameron maintains that Jack’s death is pivotal to his fictional story. Without his death, the movie would have had no real story, and no real meaning. 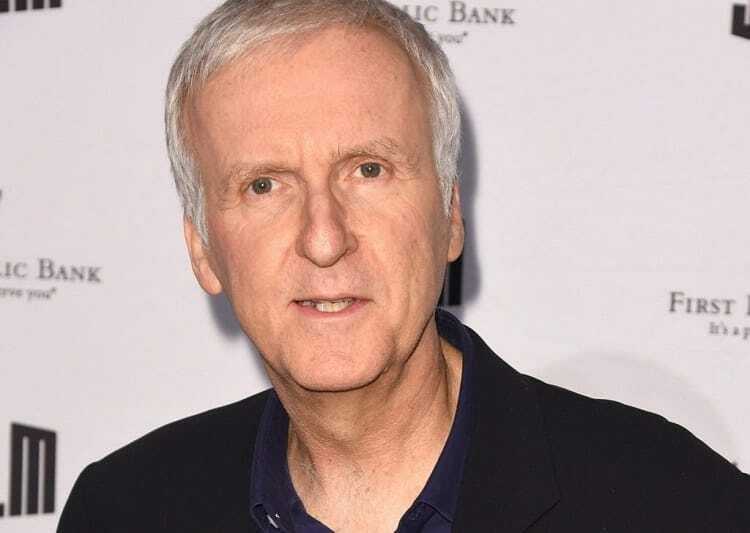 As the world read James Cameron’s interview with Vanity Fair, much of the world media came to the conclusion that the filmmaker was utterly fed up with answering the same question over and over again. In fact, they often picked up on his anger issues throughout the filming of Titanic, as well as his subsequent movies. They began to question what Cameron would do if he was asked whether Jack could have fit on the door once more. Many believed he would explode in a fit of rage, and reported this in their magazines and newspapers. Although Cameron has been incredibly negative about the whole situation, we’re happy to know that the other cast members don’t agree with him. In December 2017, just a few weeks after James Cameron’s interview with Vanity Fair, Kate Winslet appeared on The Late Show with Stephen Colbert. During her interview, Winslet erupted into a fit of giggles as she re-enacted the iconic scene with the host. 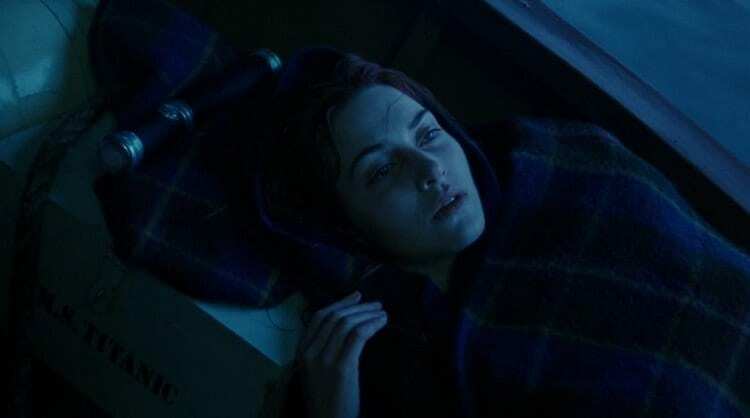 As Winslet spread out on the desk, she noted that Jack should have done more to get himself to the door and save himself. 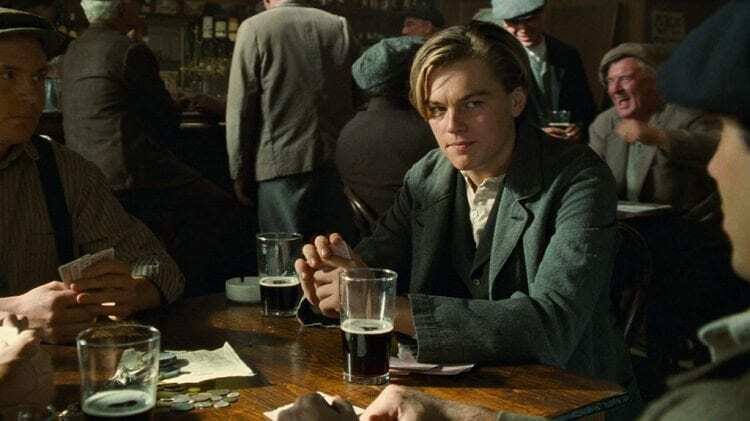 Despite the questions and queries that surround Jack’s death in Titanic, it’s safe to say that the movie and the character has had a major impact on the world we know and love today. 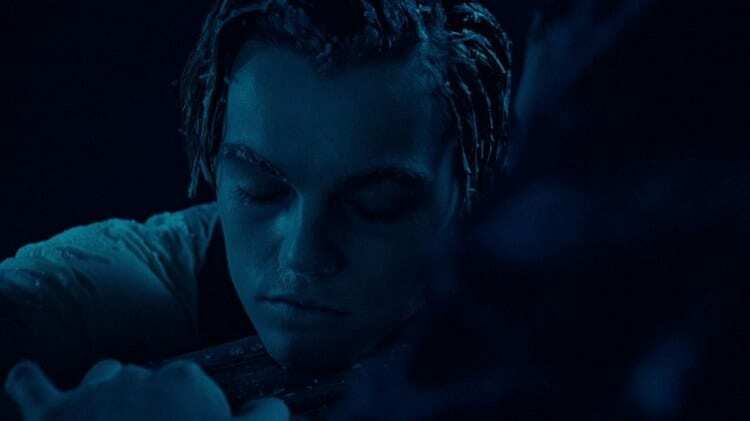 James Cameron may maintain that Jack needed to die, but fans will always live in the hope that there was a slight chance he could have survived the ordeal. As this movie goes down in history, so does the real tragedy that is the RMS Titanic. Through this movie, we have a way to remember the fallen victims of the maritime disaster.